Are there restaurants that have great kids menus? Or places where your kids eat free on certain evenings? 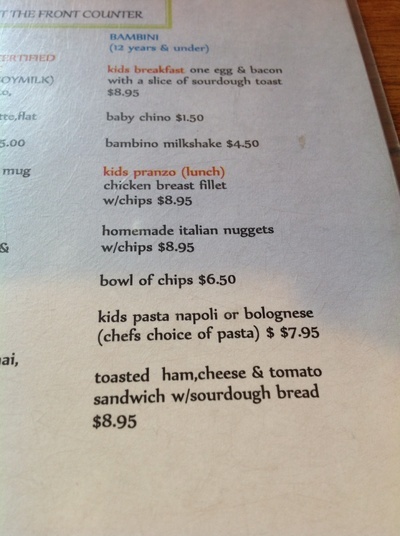 What's your top kid friendly eatery in Melbourne? Is Pride and Prejudice a romance novel?